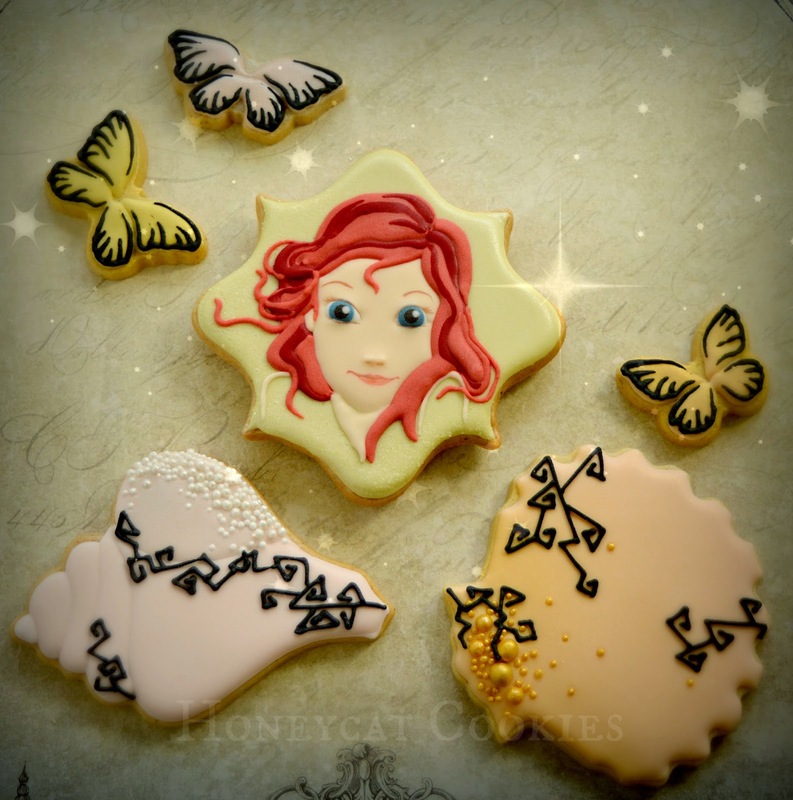 Honeycat Cookies: A Guest Post and a Giveaway! 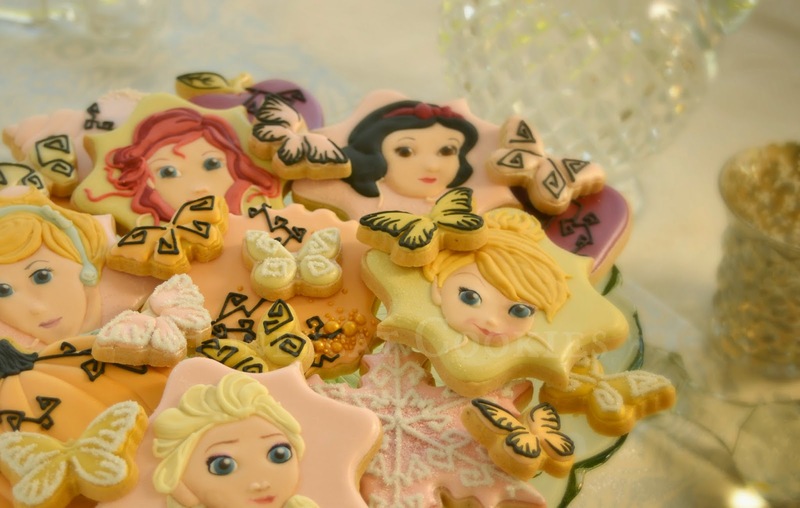 Head over to Elizabeth's Kitchen Diary to see my guest post all about Honeycat Cookies and how I got into this racket and couldn't get out again, and enter my first Giveaway to win a dozen cookies! 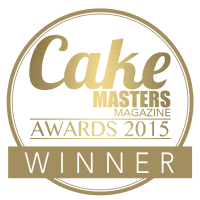 (UK entrants only, sorry). 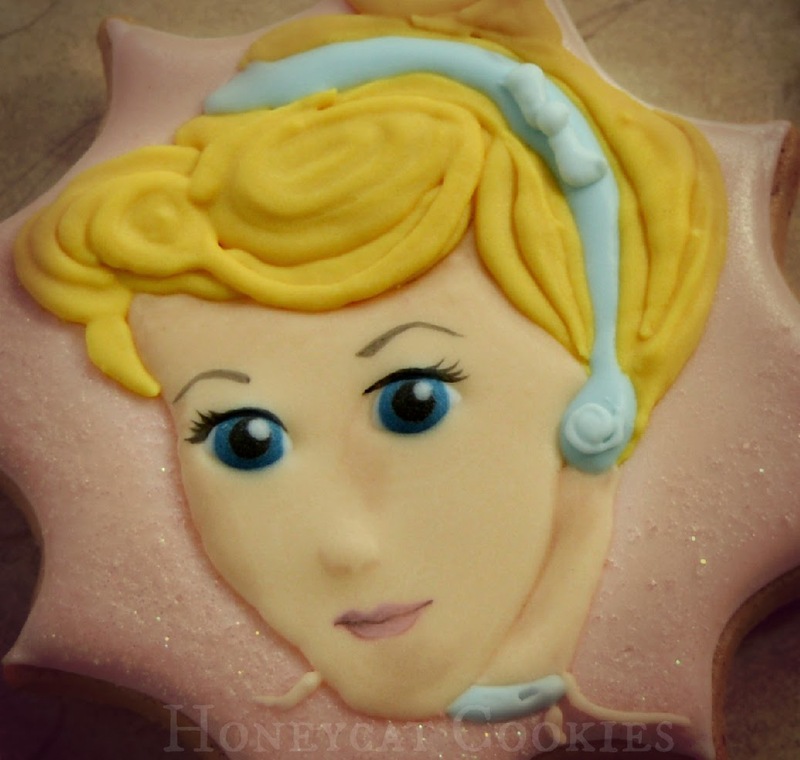 But before you do so, a quick post here to mention how I used to hate doing character cookies, but now I love it! These princesses were a joy - perhaps because they're all so pretty and I do like pretty! 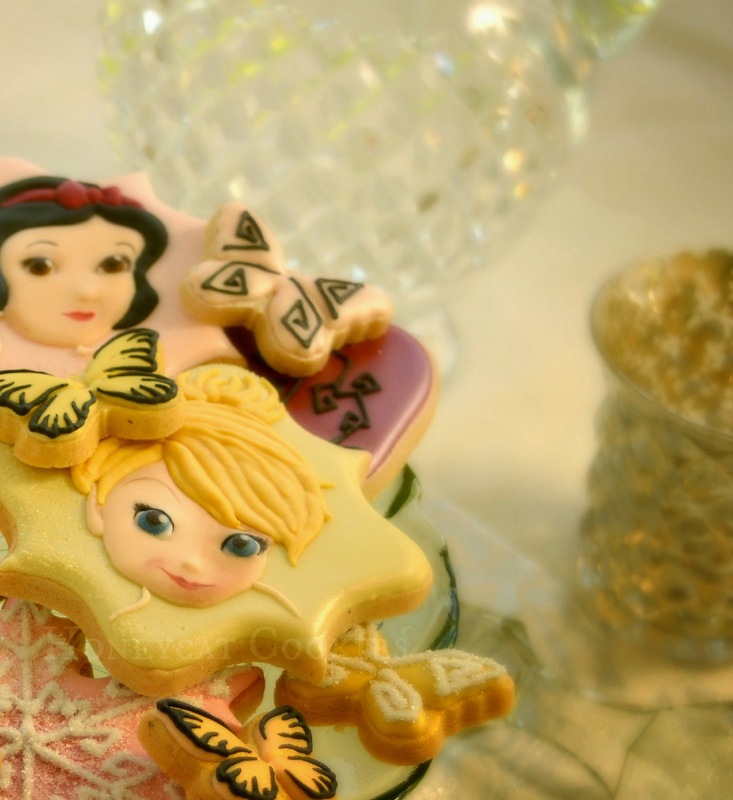 Each one had a couple of 'acccessory' cookies, but the little fairy had a host of small butterflies. No prizes for guessing who this is. I'd never really looked at the mermaid properly before, and I rather like her confidence and floaty hair - I think she's probably my favourite. Mischievous fairy - her eyes were the most fun to paint. I've done this one before (see the photos here) but was quite happy to do her again for this set. Something new about this set... no lustre dust! I'd been sent some Americolor super-black food colour gel to try out, by my friend Anjum, of Eat Cookie Sleep Cookie and just love how it's so black, and the icing isn't grainy, as I've found with the Sugarflair I usually use, and it dries much harder. I wanted to draw together some of the elements such as the dark hair, and the richness of the apples, and decided that I'd use black piping as it goes so well with the butterflies too. There may be more of this in Honeycat's future! 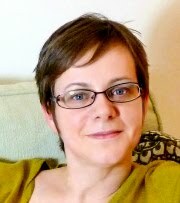 I have just recently discovered your blog and I am in AWE! I was totally enthralled with your Frozen cookies and although I don't expect really great results, I am anxious to at least give it a try. 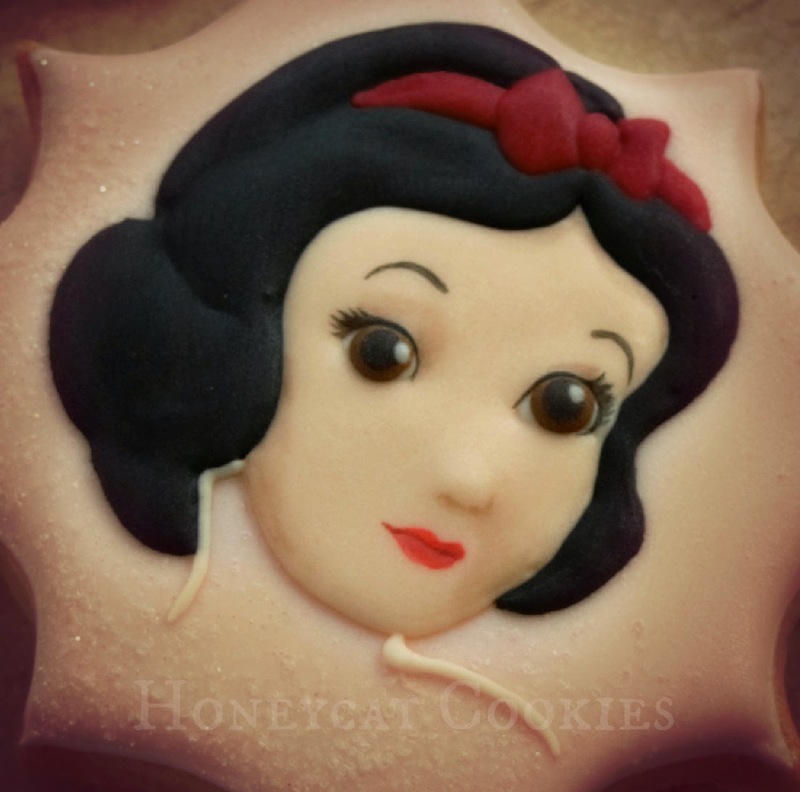 If I am being honest...ANY character cookies freak me out! I don't believe there is any gray area when doing them...you either nail it or you don't...you definitely do! 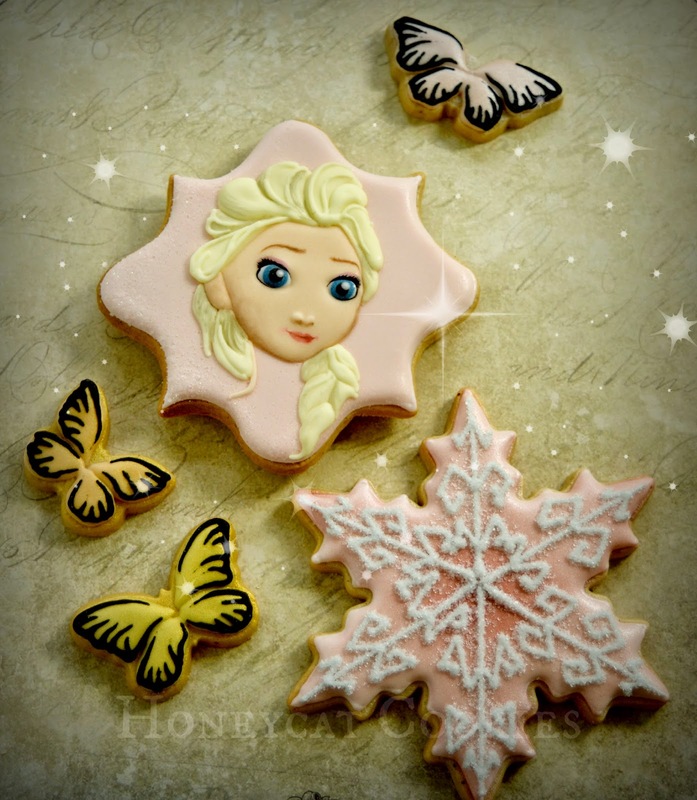 Selfishly speaking...I think you should do tutorials on all your cookies...such amazing work! Thanks for sharing! Thank you! You should always give it a try - some of my early characters (simpler than these) were dreadful, when I look back on them, but I was still proud of them at the time, lol.